I blended the watermelon and mixed in the milk kefir. Voila! Watermelon smoothie! 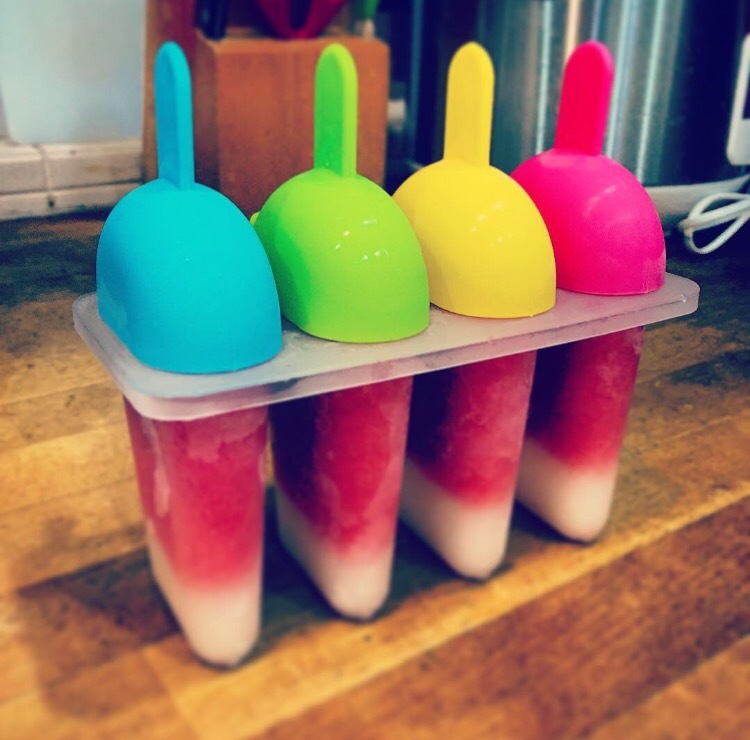 Poured the mixture into the popsicle moulds and popped them into the freezer. The mixture eventually separated into 2 layers. 😅 BUT my easy-going children loved them! Why? They are cold and they had 2 colours. 😂😂😂 Anything cold goes with them.